Shark Boy is six years old. Big enough to go camping with Mom on the Boy Scouts weekend camping trip and do all sorts of fun things - hiking, skipping stones, canoeing, pitching a tent, and building a campfire. Old enough to have real conversations with - about what kinds of rocks these are, would it be rude tell the teacher that you are stressed out sometimes at school, and which smells worse - dogs or horses. He ran around with the other Scouts shouting "ooga! ooga!" into the darkness and got insanely muddy and was happy digging in the dirt with a stick. 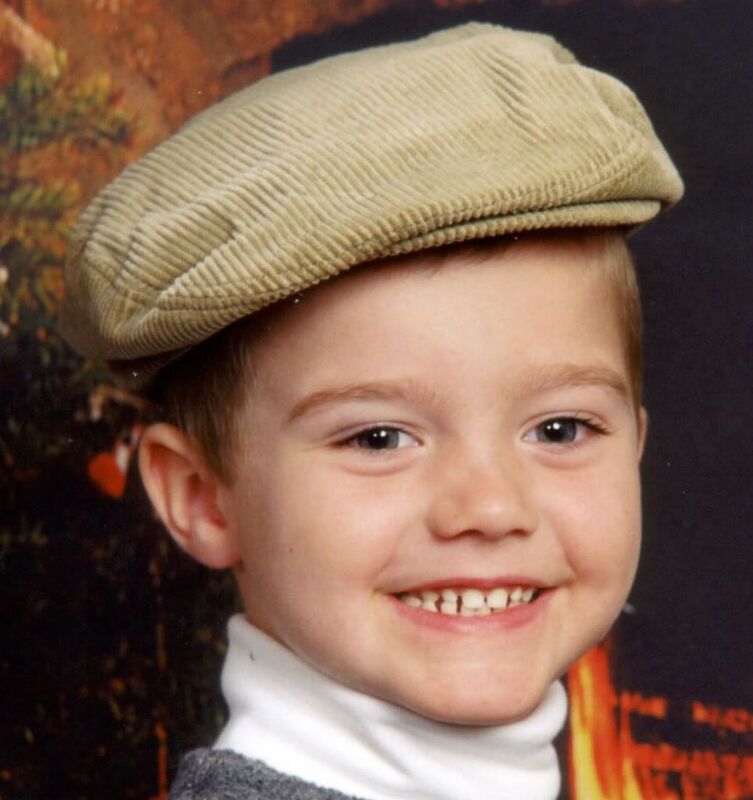 Six years old is an age I like for a boy, because he is still a little boy. 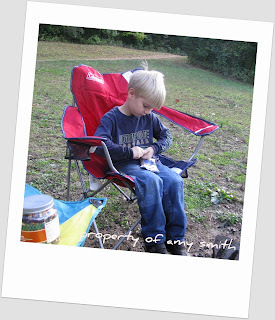 On our special camp out, he was unreservedly happy and completely "in the moment" in the way only children can be, doing things with Mom without any hint of embarrassment or rebellion. Around our campfire on a dark cold night, he chose to sit on my lap instead of in his own chair. He poked at the fire with a stick, then leaned his head back on my shoulder and slowly fell asleep. It had been a long time since I'd held this sleeping boy in my lap. My arms clasped in front of him, I listened to his breathing for a long time, stealing glances at his profile, and memorizing memorizing memorizing. When it was too cold and too late to sit there any longer, I reluctantly woke him and we climbed into our tent and I kissed him goodnight. It was with utter unconcern that he had packed his beloved turtle and now he snuggled down in his sleeping bag with this lovey tucked under his arm. No worry crossed his mind about the other Scouts seeing it, and for that reason, I made sure they did not. Early the next morning, mist still rising from the lake and the sun barely touching the tree tops, I took this shot from the unzipped doorway of our tent as he ran past. Forty degrees! Seeing your own breath is no deterrent for a boy, of course. At six years old, as I walked along this country lane, my little boy skipped to catch up and slip his small hand into mine. Unbidden, holding hands with Mama willingly and naturally, it was a moment to savor. At what age will he refuse to hold my hand? Will he be "too big for that" next year? I heard someone say just this evening, "Be here right now. You can be someplace else later." I will try to be like my boy and enjoy what is. I'll stay in the moment. Savor these times with your boy. You will always remember them even after they're grown. If You try hard enough, you will still be able to feel their skinny body on your lap and smell their hair. These are precious times and the memories will remain with you forever. Someday you may be able to experience the same moments with his son and the memories will come flooding back. I just shivered. Because I came to this blog entry of yours immediately after I viewed a picture of my Eldest on his football website, a picture in which I could see the man that my 7 year old will become. My son and I went on our camp out at the beginning of the month. I never thought I would enjoy camping and my child so much. This was our second year to go and we love it so much. It sounds like you did a pretty good job living in the moment during that trip! I loved this post; I could totally envision the scenes you wrote about and those pictures are great! dena - Oh dear Lord, I can't imagine that place in my life but I know it will be a tidal wave. Trenches - I really get this! My nephew is almost 16 and looks very much like my son, so that when I watch my nephew it's like a peek into the future. 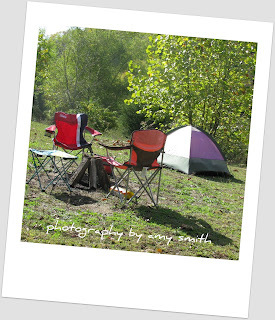 marie - Fortunately, I love to camp! But we've never gone just the two of us and I really hope to do it again. rima - my work has been beyond the beyond of crazy for a month, and this was "The Big Week." So the thought of camping the weekend before was actually very stressful for me. I worked late on Friday night, and we took off Saturday morning. When we returned from camping on Sunday, I unpacked the car, did laundry, made dinner, cleaned up the house, and WENT BACK TO WORK. Ugh. 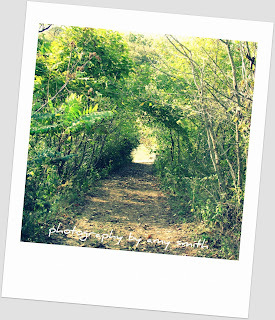 But during the camping trip, I was able to let it all fall away. Never thought about work or the stressful week to come. Fairy Dust was sprinkled and the world went away except for us, shivering around the campfire. I don't know exactly how it happened, but I'm very grateful. Watching them grow up is so bittersweet! You and Shark Boy are so blessed with each other. These are going to be fantastic memories now and later. I love it. I sniffled a bit. And, if he's still willing to sit in your lap, you've still got it pretty good. Hang on to these moments, with everything you have! They go by so fast. 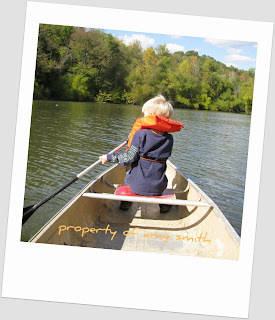 Amy...that picture of him by the lake, PRICELESS. It's amazing and speaks volumes. Love it. I can't take it...no more growing! Oh, this hits so close to home! I've never commented on your blog but have been reading for a while. My son is 6 and I can see so much of him in your Shark Boy. Good for you two for living in the moment and sharing that camp out. 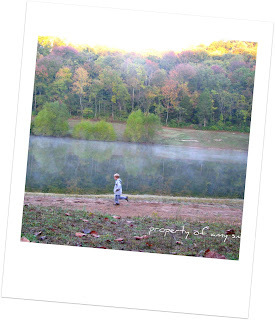 Your pictures and your retelling of the event are beautiful reminders. What a great post. I often try to remind my husband and myself that the boys will grow up so fast and we should cherish each moment and take time outs from our busy lives to just live. Beautiful post Amy! Thanks for sharing. Oh, savor the moment indeed!